For classic witchy style, there is only one place to look. 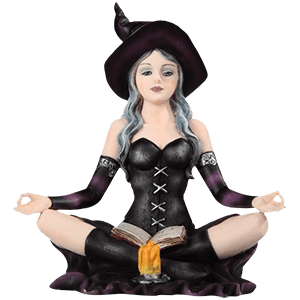 We have a stunning selection of Wiccan statues and figurines that will serve well the dedicated practitioner and the casual enthusiast both when it comes to bringing that intriguing touch of the spiritual and the occult to their home decor. The home accents in this section range from intriguing little diagrams delving into palmistry, phrenology, and reflexology to classic displays of iconic symbols that, in one way or another, represent Wicca, witchcraft, magic, and the occult at its best. Iconic statues of fun little witches as they go about their day are common fare here, bringing vivid color, awesome detail, and a bit of light-hearted fun to the typical witch design, just as elegant witch statues and sorceress statues are all common enough statues to find in this section, too. Some of the statues even depict adorable black cats, and many feature the classic pentagram, which is a symbol of elemental and spiritual power. This category is also populated with Triple Goddess and Hecate statues. Many of the statues are made from high quality resins and feature hand painted finishes which bring beautiful color and fine detail to each particular piece, ensuring that whether you go for fun or serious, instructive or whimsical, you will find a fine figurine or stunning statue, no matter what. 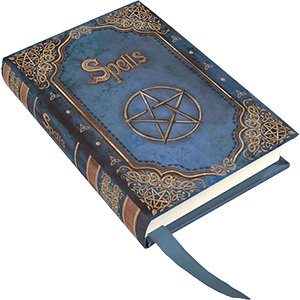 Whether you are a more traditional witch or a classic practitioner of Wicca, you are likely to have a lot of things that you want to record, and that is what makes these Wiccan journals and spell books so great to have. They may not come pre-loaded with spells and incantations, but they do provide you with all the parchment you need to record your own, as well as you daily events, potion recipes, and so much more! Every notebook and journal offered here in this section is an incredibly useful and versatile tool, as open for use as any notebook but far more appealing, thanks to the variety of unique designs that make each and every one that much more personal. Some have hardcovers that depict iconic Wicca and witch designs, including such seals as pentagrams, black cats, flying witches, and more. Others are more traditional, leather-bound books that are decoratively embossed or given an antique finish, making them look like works from history. Whatever the look, though, every single journal, notebook, or spell book in this section comes complete with all blank pages, meaning that you can use them to record whatever you like. Private thoughts, short stories, personal rituals, incantations, potion recipes, spells and hexes, limericks and lyrics - the possibilities are endless, so long as you have a blank sheet in front of you and a pencil or a pen in your hand! And really, who does not have something to jot down or something to record? These journals and Wicca notebooks make for great personal acquisitions as well as fantastic gift ideas, too! No matter what you are writing or sketching, these Wiccan journals and spell books will add some witchy style to your works, thanks to the intriguing designs that others will see whenever they look upon your chosen tome. Ritual accessories and items of significance should not always be left out in the open, nor should powerful personal talismans be left unprotected. These Wiccan tarot and rune pouches are ideal for keeping your tarot cards and rune stones safe, or anything else that might fit within the confines of these handy little drawstring bags. Crafted from the finest of fabrics, these bags are a solid choice when it comes to keeping your personal Wiccan accessories safe and secure. They are perfectly sized to contain a deck of cards with ease, while also possessing more than enough room to hold rune stones and rune sets, as well. These bags take on a particular sort of importance when you use your tarot for divination. And better yet, all these bags and pouches feature fine touches of decoration, often in the form of stitched symbols that adorn their exterior, making each one a classic addition to your Wicca style, too. 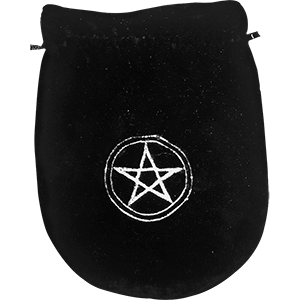 So if you have the need to store anything sacred, or just want a nice little pouch to go with your gaming dice or personal accessories, then look no further than our variety of Wiccan tarot and rune pouches. Rituals of divination and fortune telling are often a part of some spiritual practices, and some who practice Wicca are known to read the runes or practice the old art of tarot to better see what might come, either in the present or in the future. We offer a number of tarot cards and rune sets to facilitate these activities! Divination, putting it succinctly, is the attempt to gain insight into a question, event, or person, via occult means. Rune stones can be used in certain rituals to provide just such a reading, just as the runes are sometimes thought to give insight into future or past events. Tarot cards are similar, using patterns, formations, orientations, and inherent meanings, which all come together to make an interpretive message based on all available factors. We claim no sorcerous or mystic power in our items, but rather, we stand behind their appeal in terms of raw design. Our rune stones are clearly marked and stunning to behold, possessing a fine appearance that will make them the envy of every other witch you know, while our tarot cards feature colorful and stunning artwork that makes each deck a unique and personalized choice. Not to mention, the appealing art on each card will leave those who ask for a reading in awe, not only of your abilities to read the tarot but also of the beautiful cards you use to do so! So if you plan to read the ether, search the stones, or practice some tarot, one of our decks of tarot cards or a rune sets might just be something handy to have. Any one of the fine Wiccan trinket boxes that you will find here can perform any number of tasks. First and foremost, these Wiccan boxes are great for storing away little trinkets, keepsakes, or jewelry. Beyond that, they all feature a stunning level of detail and design, so they are also unique home decor pieces for any to add and enjoy as a part of their decorating scheme. 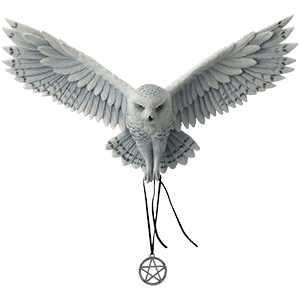 Our selection of Wiccan jewelry and trinket boxes comes in a wide variety of shapes and styles, too, ensuring that no matter your interest in the occult or in witchcraft, we have a box that will suit your need and your taste. 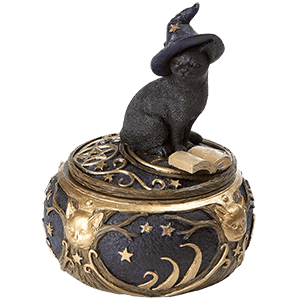 For the iconic and classic witch enthusiast, we offer a number of occult style boxes, often emblazoned with bright colors and guarded by classic familiars and witchy anima companions, like black cats and owls. 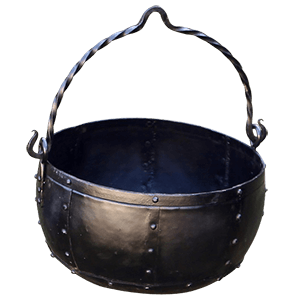 Some take the form of warded boxes, and a few even look like stacks of spell books that cleverly conceal a hidden container. Some of the more Wiccan designs more resemble tombs or locked chests, all touched with classic Wiccan symbols like the pentagram or the moon. All, however, bring a touch of intriguing style and design to your home, while also adding the convenience of a cleverly concealed little space that is perfect for organizing small trinkets, storing away personal treasures, or even keeping your little ritual components all safely contained! We also offer a selection of beautiful tarot card boxes. So if you are a practitioner of Wicca or even just have a casual interest and enthusiasm for traditional witchcraft, then you will find that these Wiccan trinket boxes are all right up your alley and perfectly suited for bringing some bewitching style to your home decor! 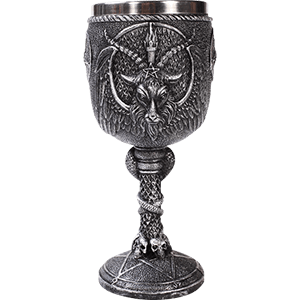 When you need an accent piece that will stand out from the rest, check out the fantastic Wiccan accessories that we carry here. We provide a number of different kinds of items including Wiccan bracelets, Wiccan hair accessories, and Wiccan pendulums, among others. Our Wiccan pendulums display small censers that allow them to be used for aromatherapy as well as dowsing. These unique pieces feature popular Wiccan motifs and symbols in their designs, such as pentagrams, ravens, crescent moons, and more. Each accessory has been crafted with care from high quality materials. Take a moment to browse and find the perfect Wiccan accessory for your look or for ritual use.